As corporate America continues to warm to the LGBTQ community, advertisers have begun to recruit new types of faces as role models. 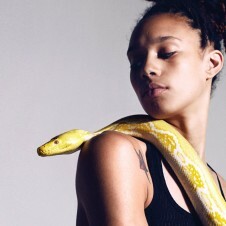 Following that cue, Nike is now sponsoring its first openly gay professional athlete: new WNBA player Brittney Griner. But it’s not just Griner’s sexuality that makes the endorsement excitingly progressive: Griner has also been granted free reign when it comes to her gender expression. Rather than wearing womenswear like Nike’s other female athletes, Griner will don apparel designed for men like Nike SB, the company’s skateboarding brand. Posted June 11th, 2013 & filed under Entertainment, Sports.